Exciting opportunities to get creative with your print, thanks to our cutting-edge digital printing suite. Digital printing offers endless options when it comes to making a real impression with your marketing material. Personalise your print with variable data printing for images, names, colours and mail-merged addressed items. Engage your customer whilst minimising your postage costs. 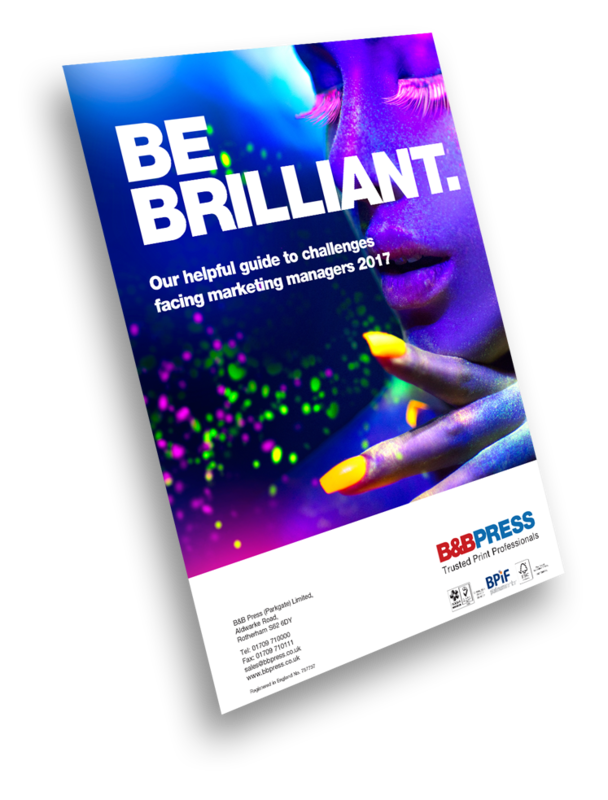 Here at B&B PRESS, we're fully equipped with an in-house digital suite that houses both mono and full-colour presses, managed and operated by our skilled, professional, dedicated digital team. This equipment makes short run, quick turnaround full-colour printing a totally viable option, with output quality equivalent to litho printing, but without the associated make-ready and start-up costs. Coupled with our Web2Print solution, you also have the option to store your artwork on our secure servers. We'll keep it safe and ready to be accessed by you or your team when you need to place a quick online print order. Whatever the specifications of your job, we have an expert team on hand to talk through your requirements ensuring you get the most impactful and cost effective results. Talk to us about your ideas for digital print, or simply tell us what you want to achieve and let us advise you.